The Newest Rant: Is DC's Latest Event-Teasing Comic Any Good? A Review of, "Dark Days: The Forge #1"
Is DC's Latest Event-Teasing Comic Any Good? 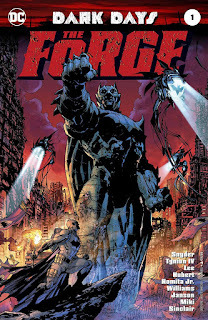 A Review of, "Dark Days: The Forge #1"
I love doing my rant-reviews/capsule reviews but sometimes you just wanna do a deeper-dive into a single comic because there is a variety to discuss. This book was interesting because it was strange, and while I wasn't amazed, I did overall at least like this comic. First off, the artwork is solid throughout as various talents pop-up to provide their talents (Jim Lee, Andy Kubert, and John Romita Jr.), but Scott Snyder and James Tynion IV really have maybe a bit too much going on within the span of this single comic for much to make any sense. 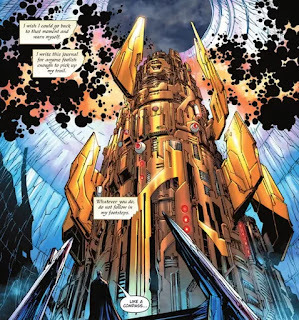 "The Forge," leads into the upcoming DC event, "Metal," which seems to be about how a mystical metal provides many famous artifacts in the DC Universe with power. This isn't just about that though, it involves other worlds, past Universes such as the New 52 one, and the denizens of that universe such as Plastic Man, plus we have one of the, "Three Jokers," a version of, "The Outsiders," so-called, "Immortal Men," the possibility of a dystopia ruled by Batman, and Hawkman and Hawkgirl play a role too. Also, Green Lantern is involved too because something is up with his ring that relates to all this. Yes, there is a lot going on here and it can be a bit much. To the credit of all these competing stories, enough stuff is interesting that I'm considering giving, "Metal," some attention. While I could take-or-leave the idea of various powerful items in the DC Universe all sharing some mystical metal, I'm a fan of stories that involve alternate universes as well as tales where those dimensions meet-up. This book isn't exactly friendly to casual readers of the DC Universe however (like myself) who just dip our toes into various books. No, this is the kind of thing that rewards folk with extensive knowledge of DC and I had to look-up a lot of reviews and break-downs to make sense of some things. 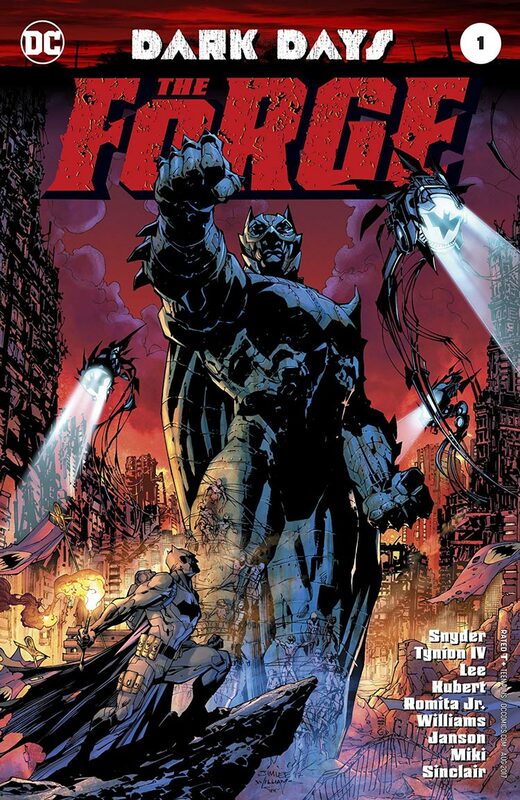 "Dark Days: The Forge," is a comic so loaded with teasers for a variety of story-elements that it hampers the overall flow of the plot a bit with an unclear focus. Is this a tale of magical metals, alternate universes, dark futures ruled over by Batman, or a multitude of other things? Thankfully a variety of these ideas are compelling and--as I said--the book looks quite good, so I overall liked this comic and am curious what comes next--which was arguably its whole intent, to get us intrigued in future stories.